The '2017 Be Inspired Awards program's finalists will present their innovative projects to their peers, the jurors, industry thought leaders, and more than 120 members of the media as part of related infrastructure forums at this event which will be held on October 10-12 in Singapore at the Marina Bay Sands Expo and Convention Centre. This year’s event begins with a Welcome Reception at the ArtScience Museum on Monday night and the conference opens Tuesday morning with the Bentley Executive Keynote. You will enjoy three full days designed to educate, motivate and inspire you, including our comprehensive technology update, six industry-focused forums, and the all-new Alliance Partner Pavilion . 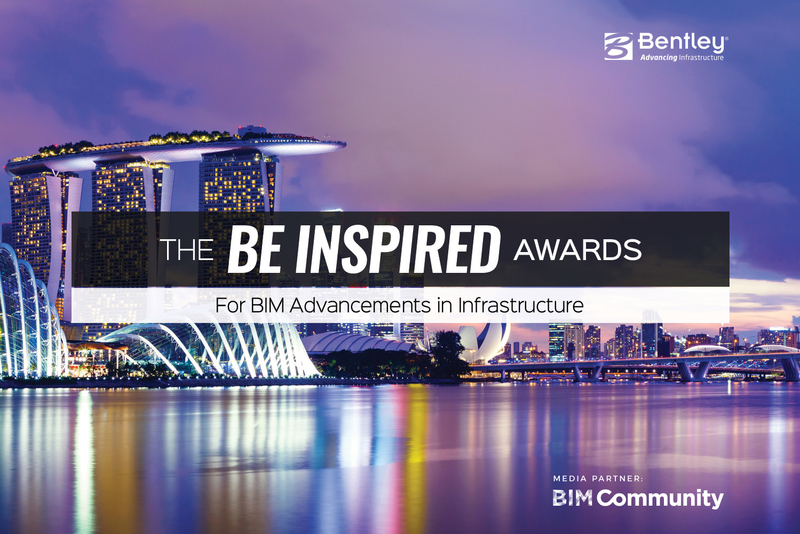 We will celebrate nominees in 17 BIM Advancement categories and recognize the best and brightest at our annual Be Inspired Awards ceremony to close the event on Thursday night.